Explanation: A human first set foot on another world on July 20, 1969. This world was Earth's own Moon. In honor of today's 40th anniversary, NASA has released a digitally restored video of this milestone in human history. Pictured above is Neil Armstrong preparing to take the historic first step. 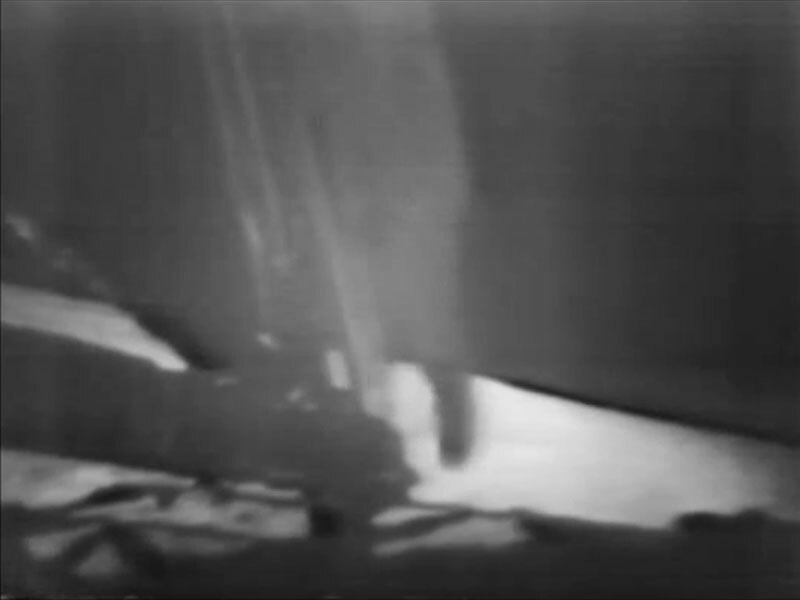 On the way down the Lunar Module ladder, Armstrong released equipment which included the television camera that recorded this fuzzy image. Pictures and voice transmissions were broadcast live to a world wide audience estimated at one fifth of the world's population. 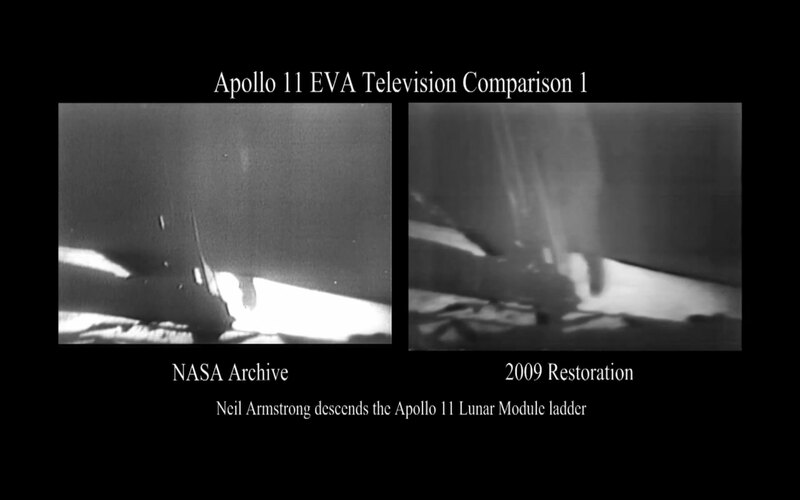 The Apollo Moon landings have since been described as the greatest technological achievement the world has known.